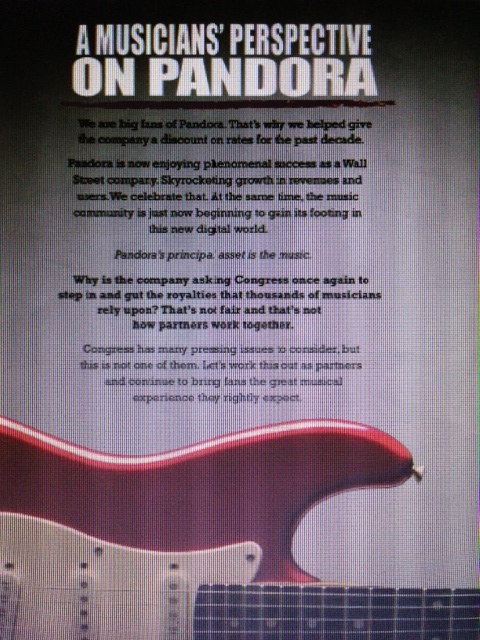 As a follow up to my post yesterday [http://wp.me/p10nNq-p8] it’s easy to reach out to your Congress reps at the link above and speak out against Pandora’s push to slash royalty rates paid to creators. SoundExchange is the organization that collects and distributes digital royalties to musicians and record labels. Just last month, SoundExchange released a list of over 50,000 recording artist and record label names who are owed tens of millions of dollars in unclaimed digital performance royalty payments. [Registration with SoundExchange is required in order to collect these unpaid and ongoing digital royalties]. The list released by SoundExchange also includes more than $31 million in royalties that are three or more years old. **AN IMPORTANT NOTE** Any unclaimed royalties that are over three years old may be forfeited (and lost) if the artists and labels who are entitled to the $$$ do not register with SoundExchange by OCTOBER 15, 2012. If you think that you, or someone you know may have digital royalties waiting to be collected from SoundExchange CHECK with SoundExchange. You can check this out by searching through the database of unpaid artists and labels on the SoundExchange website… or you can email SoundExchange at: connect@soundexchange.com. See also: an earlier post http://www.soundexchange.com/2012/08/15/soundexchange-releases-list-of-recording-artists-and-record-labels-with-unclaimed-digital-performance-royalties/, http://www.soundexchange.com/2012/08/17/royalties-waiting-find-out-in-our-new-database/, http://www.soundexchange.com/performer-owner/does-sx-have-money-for-you; @iplegalfreebies and www.kasterlegal.com. You might have heard that an archive of historic jazz recordings was discovered and donated to the National Jazz Museum in Harlem last year. Accompanying the hundreds of donated discs containing recordings of legendary jazz musicians of the late 30’s and 40’s… is a tangle of legal copyright issues. THE MUSIC – This newly discovered jazz archive exists due to the technical genius of William Savory who was both a jazz aficionado and a technical wizard. Mr. Savory developed ways to make superior, longer and more durable sound recordings and recorded historic jazz performances during the golden era of American Jazz. Among the treasures in his collection are never released recordings of: Benny Goodman, Billie Holiday, Count Basie, Bobby Hackett, Ella Fitzgerald, Louis Armstrong, Coleman Hawkins and Lester Young. This historic collection is currently being restored and digitized by the National Jazz Museum and can be heard in eight short clips on the museum’s website and by making an appointment to visit the museum’s listening room. (http://www.jazzmuseuminharlem.org/savory/index.php or by calling 212-348-8300). THE BIG QUESTION – is whether this historic collection will be made available to the public once digitized. COPYRIGHT ISSUES ABOUND – Copyright law has changed and morphed over the years and the legal protocol for using, distributing, copying and making these digitized recordings (or any copyright protected work) available… requires identifying the musicians and copyright owners of the recordings and getting their permission to use the works. As you might guess, this is no small task. It can be difficult to identify and locate copyright owners especially since decades have passed since the recordings were made. Most of the musicians are no longer living and the business entities and companies that may hold ownership interests in the works have likely morphed and changed too. (Note that copyright protection lasts for longer than the life of the owner. The duration of copyright protection has changed over the years. Currently, copyright protection lasts for the life of the author + 70 years and if owned by a corporation it lasts for 95 years from publication.) If an organization wishes to use copyrighted works, but the copyright owner cannot be located… the organization has two choices: 1) not to use the work or 2) to use the work without permission, which is a risky gamble. HOW BIG OF A GAMBLE IS IT TO USE A COPYRIGHTED WORK WITHOUT PERMISSION? The short answer – Big. Using a copyrighted work without permission can put the user at risk of owing treble damages to the owner for willful infringement AND can prevent any further use of the work via an injunction. The risk of potential copyright liability for using works without permission is generally too high for most museums, filmmakers and libraries to take. WHAT HAPPENS NOW? Evidently the National Jazz Museum in Harlem is in the process of restoring and digitizing the Savory collection. It will be interesting to see how the museum decides to use the works. Hopefully, tracking down the copyright owners and getting permission to use (and make available for distribution) at least some of the works will be possible. (I would like to hear these recordings!) Alternatively, legislation could change the penalty for using the works by reducing the fee from treble damages to ‘a reasonable licensing fee’ payable to the copyright owner retroactively once they resurface and make a demand for payment. These types of legislative changes to the current Copyright Law have been proposed but have not been adopted. For now, making an appointment to visit the National Jazz Museum in Harlem’s listening room is the way to hear these historic jazz recordings. See also: http://www.jazzmuseuminharlem.org/; http://jazzmuseuminharlem.org/the-museum/collections/the-savory-collection/; http://www.copyright.gov/; Orphaned Treasures: A Trove of Historic Jazz Recordings has Found a Home in Harlem, But You Can’t Hear Them, by S. Seidenberg. For more information on works in the Public Domain, see http://wp.me/p10nNq-ft and http://wp.me/p10nNq-gn; @iplegalfreebies and www.kasterlegal.com. Did you know that 48 hours of content is uploaded to YouTube every MINUTE?!? It’s hard to even conceive of… but it’s true and without question… heaps of the uploaded content contains music that could and should be earning royalties for plays on YouTube. In an effort to begin to manage content on YouTube and start paying copyright holders royalties whenever music is included in a video that is played on YouTube, Google (the owner of YouTube) has purchased RightsFlow (a start-up that processes music royalties to help musicians, songwriters and music labels be compensated for their work). RightsFlow has a music database of over 30 million songs and already processes licenses and royalty payments for thousands of publishers. Integrating the RightsFlow database and technology into YouTube’s content management systems promises to start paying $$ to musicians and music rights holders who have been uncompensated for the use of their music on the site. (Search for any popular band or song on YouTube and you will find an extensive mix of results that include recordings of copyrighted music). Managing and protecting copyrighted content is an ongoing concern for YouTube. Currently, a copyright holder can request YouTube to remove a video posted to the site that includes copyrighted content that is being used without authorization. 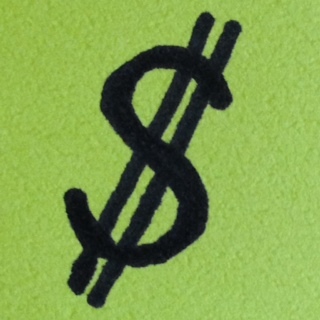 However, won’t it be even better… to be paid for the use of your music! See also: http://rightsflow.com/; http://rightsflow.com/2012/01/youtube-and-rightsflow-opt-in-reminder/; @iplegalfreebies and www.kasterlegal.com.